Robin was born and raised in Los Angeles California. 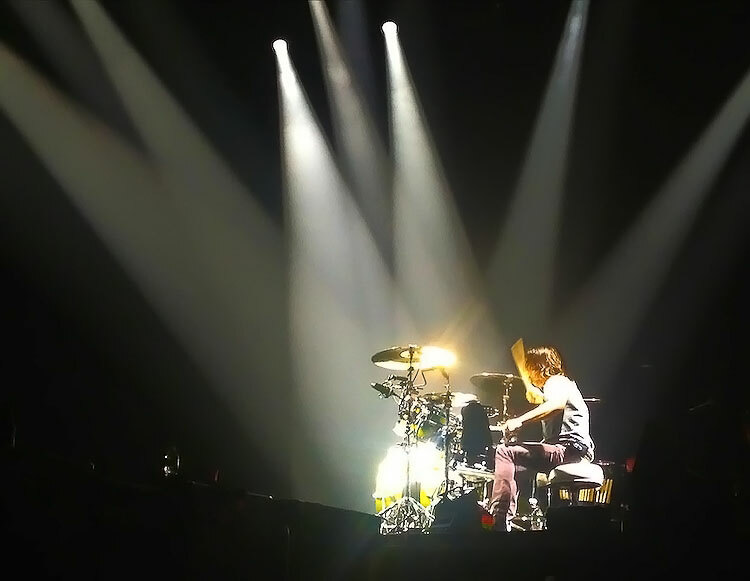 He began his love affair with drums at 6 years old, playing on boxes, pots and pans and then graduating to a drum kit at the age of 8. During Jr. High he was playing in multiple bands, garages and backyard parties; eventually graduating to the L.A. club scene. After high school he attended Musicians Institute in Hollywood California, under the PIT program. It was there that he studied with top session drummers and teachers Ray Luzier, Joe Pocaro, Ralph Humphries, and Fred Dinkens to name a few. After graduating MI Robin began playing and recording with local artists in L.A. and then soon-after hitting the road. For Robin being on the road was not just about playing live, it was an opportunity to cultivate relationships with other musicians, singers, songwriters and producers who would later call upon him to record drums for their projects. From there it grew from one record then another, to having songs all over the radio; to having his recordings played all over the world. Not bad for a career that started on boxes, pots and pans!